Prairie Dog Meadow includes the headwaters of Stone Creek (a tributary of Fossil Creek). 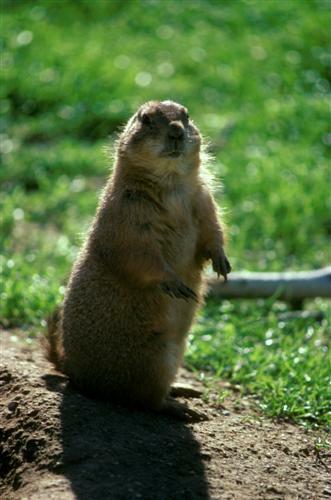 About 70 species of birds and 10 species of mammals have been documented at Prairie Dog Meadow Natural Area. Recreation is limited to wildlife watching from observation points at the north end of Kyle Avenue and along the sidewalk on Skyway. No trails are planned because interior trails would disrupt the natural activities of the prairie dogs as well as the predator/prey interactions. Wetland portions of the site have very unstable soils, and therefore are not ideal for trails. Prairie Dog Meadow is at the north end of Kyle Avenue and also borders East Skyway Drive. The approximate address is 6321 South Kyle Avenue, Fort Collins. Free educational programs about Prairie Dog Meadow Natural Area are available for groups by request, call the Master Naturalist Program at 970-224-6118 or email YWNobGVibmlrQGZjZ292LmNvbQ== .